Is it possible to live for truth and walk in grace? To live in the world and not be defined by it? 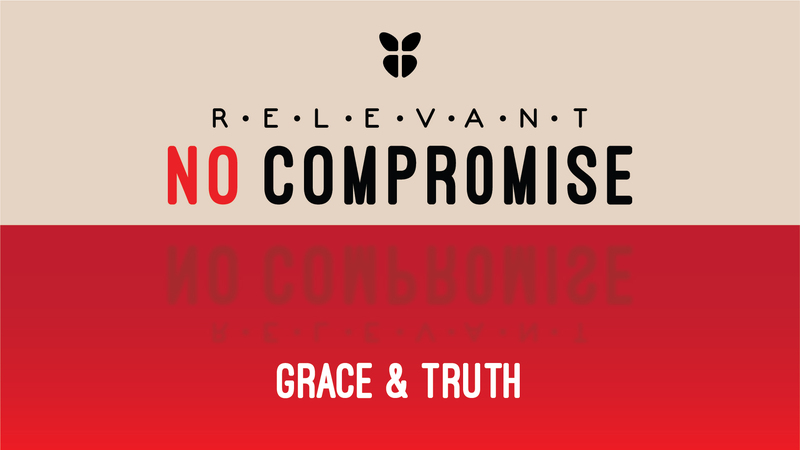 How do we stand firm and love well in a culture of compromise? We need to learn how to live godly lives in an ungodly culture. Every time we reject God as our King, we pay the consequences for it. Daniel 1: 2-4 tells us that King Nebuchadnezzar besieged Jerusalem and took the best citizens as slaves. And in order to serve, they had to be taught a new language and indoctrinated in the culture and literature of the Babylonians. If we do not understand the times we live in, there is the danger to be enticed to assimilate into the culture in which we live. Culture has an agenda! The devil is using culture to have his way in all of us. It wants to make you believe something about you that is not true. Many times, to be accepted by culture, people become what culture wants them to be. Satan will put a script to your life that is not what God intended for your life. For example, for ‘Daniel’ his name meant ‘God is my judge’ but the Babylonian name he was given was ‘Belteshazzar’ that meant ‘Lady, protect the king’. They gave Daniel the name of a girl. In every pagan culture there has been gender confusion. For Hananiah– his name meant ‘Yahweh has been gracious’ was changed to Shadrach meaning ‘I am fearful of God’. The name went from confidence to timidity, no spine! A slave of a pagan god. Satan is also trying to redefine your future. We must allow our God to put the right label on us. When culture shifts, you need to know who you are and Whose you are! Daniel in a wise and tactful way asked the chief for permission to not defile himself (Daniel 1:8). There is pressure in our society. As Christians, we want to serve God, but culture puts pressure on us. God’s standards become relative. We say, ‘yes, I’m bad, but I am not as bad as that person’. Remember that God’s standards are for us and not against us—God does not want us to fail. When culture shifts, we must reaffirm our convictions in God. There are core values that no matter what culture does we will not be moved! Our faith will be tested just like Daniel’s. When culture shifts, we must respond the right way. By and large the Church is not always responding the right way. Technically we may be right, but it is just not helpful. Let us always remember that God did not call us to be right, He called us to be effective. On one hand there is legalism, and on the other hand there is permissiveness, tolerance, liberalism, and accommodating the wrong. They do it in the name of love by twisting the truth. There must be a balance between truth and love. Daniel had this unbelievable ability to stay firm in his faith and influence his generation at the same time. Jesus was the perfect example of this. Total perfection, yet able to minister to the outcast of His day. He never compromised who He was and what He believed, yet they felt loved by Him and never judged. God favours us when we are not favourable! He died for us and loved us while we were still in our sin. Grace is a gift from God. God has called us to embrace grace & truth. Without truth we are corrupt and without grace we are condemned. We cannot do enough to be saved. People today believe that if one is good enough he/she is saved. Without truth we become worldly and without grace we become judgmental. Grace without truth is meaningless. Truth plus grace is medicine. Grace invites us to be free but truth sets us free. Read John 8:1-11 for a parallel for grace and truth with the story of the woman caught in adultery. The Pharisees gave Jesus a choice to go for TRUTH or GRACE but not both! The woman had broken the law. I’m calling New Life to hold high God’s truth. We will not change God’s Word for the culture.